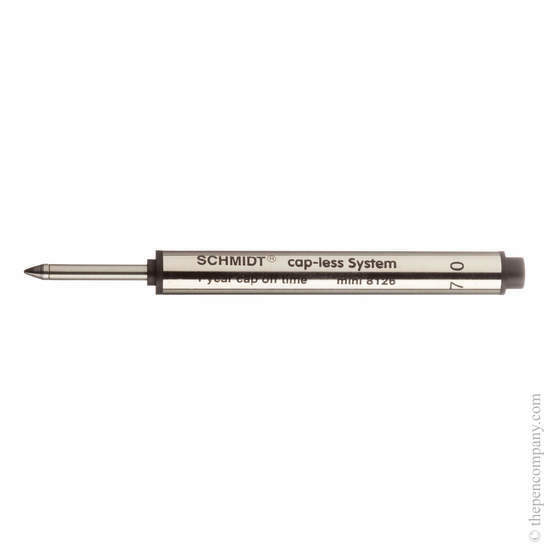 The Schmidt Mini 8126 is a short cap-less rollerball refill to fit smaller pens including the Delta Dolce Vita Mini and Caran d'Ache Ecridor XS. I was given an Anniversary gift by my wife of a Dunhill pen. After a couple of years I found that Dunhill no longer sold their own brand pens or refills and I was left with a useless gift. After trying to find a refill in Bath, Cardiff and London over 3 years, The Pen Company came to the rescue and after excellent sevice I am using my pen again every day.